and to be able to DO MORE every day? Do you want to DO something about your HEALTH but never seem to get STARTED? Are your ENERGY reserves depleted? You REQUIRE smart steps – the WHAT, WHEN and HOW to implement your healthy living plan. You’re too BUSY to go it alone! Would you love EXPERT guidance on creating an easy to implement plan? If you’re answering YES to any of these questions, would you be surprised to know that you can receive all this from the comfort of your office or home! There’s no need to waste precious time travelling to a health coaching club or clinic. 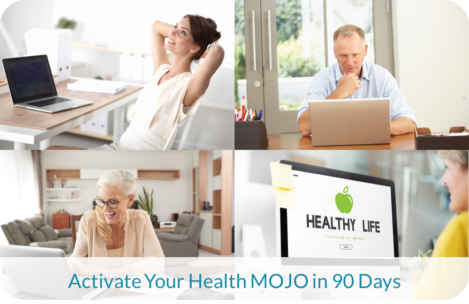 Sign up for a SHORT and FOCUSED online programme of health guidance, expertise and motivation to lead you to Activate your Health MOJO in 90 days! By working with me and a group of like minded people, you will easily take CONTROL of your Health and Lifestyle. I will help you make simple changes that work with your commitments to your family, business and having a full life. I’ll share my nutritional knowledge alongside my love of good food and my experience of working with clients just like you. Join a small and exclusive MASTERMIND group (maximum 6) led by me, Aileen Smith. Activate your Health MOJO is a 90 day small group coaching programme for anyone in business who wants personal support from Aileen with implementing their personal healthy living plan. Membership is limited to 6 maximum per group and members meet online for 2 hours each month for 3 months. All to be scheduled over a 13 week period. Dates and Times will be set in advance for group calls. You can call in where ever you are in the world – home office, business office or hotel. You complete a Health and Lifestyle Questionnaire and Mini 3-day Food Diary. Aileen will complete your Personalised Health Mapping Discussion Document and send it to you prior to STEP 2. 1 x 60 minute Personal Health Goal Setting (Skype or ZOOM). We’ll review your health concerns and personal and business lifestyle. By the end of the session you will have completed a health planner identifying your TOP health goal, TOP 2 new skills to learn and TOP 2 new health habits to implement. By getting clear direction, you will know exactly where to focus your efforts and attention to get back in control of your life and start looking and feeling as wonderful as you desire. Clarity changes everything and clarity will give you what you need to move forward with confidence, so that you CAN enjoy 10/10 energy and DO MORE EVERY DAY. 3 x 2-hour MASTERMIND GROUP COACHING CALL with Aileen and your Co-MOJOers. This call is a fabulous container of support for you to get questions answered, receive advice and a motivational boost if you need one. The aim is to support you in the implementation of your plan and to answer any questions you may have. It’s also a little bit about accountability – you’ve invested time and money in your health and I really want to support you in achieving your health goals. Dates and times of calls will be scheduled – you can call in where ever you are in the world – home office, business office or hotel. The Call is SIMPLE, FUN, INFORMAL, RELAXED and SUPPORTIVE – Sharing successes, challenges, tips and inspiration in a mastermind group is like gold dust. Membership of Activate Your Health MOJO SECRET Facebook Community. Aileen checks in with the group on a regular basis to answer questions and to share advice. The Facebook community is an opportunity to share tips, recipes, menu ideas, inspiration, challenges and successes with like-minded people, a perfect way to enjoy group support and momentum towards your health goals. Monthly Accountability Forms and personal email feedback from Aileen. Weekly Food Diary Review (optional and as required). BONUS TWO – HIGH FLYING ENERGY REBOOT e-book – quick start meal planner and food shopping list – my TOP breakfast, main meal, snacks and drinks suggestions to support high flying energy. FOUR PERSONAL CONTACT POINTS with Aileen. 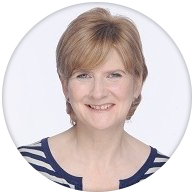 Full support for the duration of the programme – access to Aileen’s personal expertise and guidance. All to be scheduled over a 13-week period. Dates and Times will be set in advance for group calls. You can call in where ever you are in the world – home office, business office or hotel. If your preferred group is full Aileen will let you know and add you to her Priority A-LIST. “I work with a wide variety of clients, typically they are busy people who share a defining trait; they have the intention to live healthily however their current way of living isn’t delivering the optimum health they desire. Don’t fear that your current health situation is a mountain that’s too hard to climb, many of my clients feel like this, investing in yourself will put you onto a path to become your radiant best”.